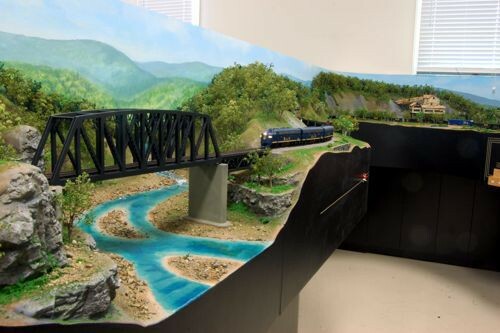 Custom Model Railroads specializes in the design and manufacture of model train layouts, custom built structures and building kits. We have been in business since 1991, building private, corporate and museum train layouts as well as custom models and building structures. We also manufacture building kits that you can buy and assemble yourself. The blue buttons on the left will take you to various sections of our web site. The "Current Projects" section shows you what we are currently working on in the shop. The "Custom Layout" section lets you explore the process of how we design and build a layout for you. There are numerous samples of our work for your review in our galleries section. The "Building Kits" section features our various kits in HO and N scale as well as the process of having one-of-a-kind structures built. The "Gallery" section is full of examples of our work. Hotel Belvedere in N & HO Scale. Vertical Lift Bridge in N scale. Single and double track versions. 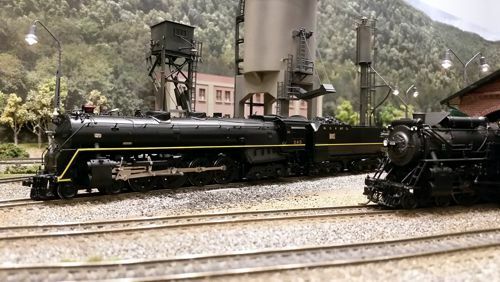 The Southern Serves the South in HO scale has been added to our gallery section of the web site. This bedroom size layout has a lot of operations. East Coast Corridor Layout Update. 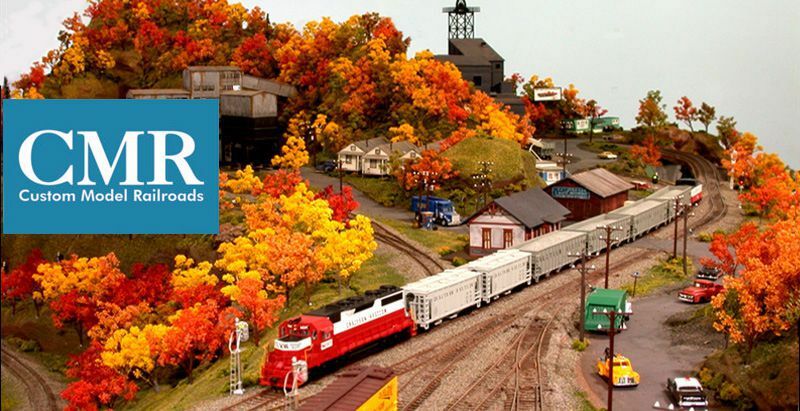 This is a great HO scale layout featuring tons of operations and fabulous scenery. The first two phases are shown in separate galleries in the gallery section of our web site. New and very exciting is this HO scale Rolling Lift Bridge kit. Available as a single or a double track bridge, with an optional motor kit. CMR buildings and kits were used by ESPN for a TV ad durring the college bowl playoffs, read about it here.